Real Estate investors and aspiring homeowners are frequently gravitating towards condos. There are plenty of reasons for that. This type of property provides exclusive ownership, more privacy and could be sold easily down the road. Nevertheless, condominiums should still be on the investor’s radar, they are more affordable, demand less upkeep and can offer exclusive amenities and living communities. Condos are immensely in demand in urban centers and offer better accommodation. While there are overarching market tends, the profitability of condos and houses depends on the region, location and job market in the area. Let’s take a closer look to find out what is a better investment. The condo is short for a condominium. It is a residential unit in the multi-unit building or residential community. Most of the residences are apartments, which share walls. Some of the condos are semi-detached, like townhouses. The significant similarities are that residents of condominiums share amenities and common areas. Those facilities can be external, like a dog park and swimming pool, or internal, like laundry rooms and parking garages. 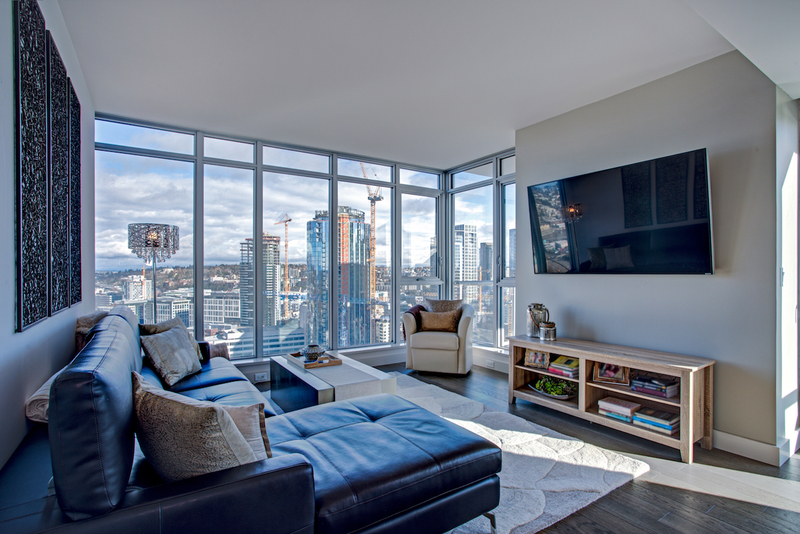 There are two major types of condos, those that were converted from rental apartments and those that was conceived and built as condominiums. The latter type is usually more novel and specifically designed to accommodate a community. It often has plenty of common areas and various additional services. In most cases, you can easily spot a difference between the two types. Rental-conversions are usually older, lack specific accommodations and can look and feel cheaper. Think twice before buying this type of property, due to its age it might require more repairs and more funds for upkeep in the future. Comparison of condo vs. apartment always favors the condo. A significant component of life in the condo is the condominium association. It is an executive committee that run by the board of directors selected by the owners, a lot like homeowners associations. Nevertheless, the role of a condominium association is much more significant. It administers and maintains common areas, amenities, and maintenance. Association has considerable power to establish rules and outline policies. It also controls finance and the budget of the condominium, which is based on the regular monthly fees paid by the condo owners. Condos are usually built in the gentrified areas of the inner cities or the high-rise quarters next to downtown. They are tailored for the business professionals who like to receive their service on their doorsteps. Condominiums in those hot areas are renovated and redeveloped on a regular basis. Therefore they frequently provide top-notch facilities. That may include clubhouses, gyms, swimming pools, etc. The residential unit is also often supplied with contemporary features such as open floor plans, granite counters or panoramic windows. Most of the condos are located in dense urban areas in proximity to restaurants, bars, and entertainment venues. Due to the recent urbanistic trends, those neighborhoods are usually walkable and pedestrian friendly. Thus residents can take a stroll to the local grocery or have a drink without worrying about finding a designated driver. Most of the condos have a comprehensive concierge service with custodians and desk staff. Condominiums are usually gated and have round the clock security and guards. The most up-to-date security system and building surveillance make condo one of the most secure and quiet arrangements. Additionally, people who are closely residing together makes the best neighborhood watch. Any potential hazards or security breaches are instantly reported and resolved. If you are residing in the detached single-family home you can rely only on yourself. The vast majority of new condominiums have plenty of common areas. That may include yards, places for BBQs, common playrooms. The associations frequently host events and socials. Everything in the condo fosters mingling, development of the community and networking. Condos is an excellent place if you want to live among the like-minded people. There is a good chance that someone in your community is working in the same company or industry. Unlike the sprawling suburbs, where everybody left to their own devices, residents of the condominiums abide by the strict rules of the association. This means fewer people who do not respect personal boundaries, less noisy kids or unhinged parties. In your own home, you can only talk to your neighbors to persuade them to come to their senses, while in a condo you can use enforcement mechanism of the association. In contrast to a single house, a resident of a condo doesn’t have to worry about maintenance. They don’t have to replace broken doors, rake leaves or mow the lawns. The on-site staff manages performs the majority of the upkeep tasks. Usually, in the condominium, you have less freedom in renovating or remodeling your property. Significant changes have to run by the board of directors. Moreover, you might need the approval of the board when you choose to sell your condo. Condominium Associations pride themselves on building a community. That is why they are very cautious about letting new people in. Your potential buyer might need to go through a rigorous vetting process. Also, you should keep in mind that the association of condo homeowners may regulate how you use your property. They may impose restrictions or even prohibit to rent out a place. Therefore you should carefully read through the covenants, conditions, and restrictions (CC&Rs). Especially if you are planning to rent out the property. Some of the condos may not qualify for the FHA loan since the percentage of owners vs. renters is higher than 50 percent. Consequently, you may have to pay in cash or apply for the mortgage. On top of them, the resale price depends significantly on sales in the area. If some of your neighbors decide to sell cheap, it may affect the price of the whole condominium. There is no dispute about it, detached house provides a significant amount of privacy, which condo could not offer. Condo residents are inevitably going to hear the loud TV in the neighboring apartment. The smell also tends to travel across the walls. There is no escape from your neighbors, which can be especially annoying if they host parties or large social gathering. Condo fans need to learn to appreciate the community in all the shapes and colors. Condos usually perceived as an easy way to park your money and cash out when necessary. It is partly true; there are certain demographic groups that are naturally driven to buying condos. Recently divorced, single professionals or elderly couples willing to downsize are primary condo buyers. While it is true that condos appreciate quicker than the traditional single-family home, the association’s fees eat up most of the profit. If you are considering buying a condo, you should factor in that association fees are tending to rise. That is especially true if you are purchasing a property in the old condominium, which might require some renovations along the way. Condos increasingly become the preferable residence across all the age groups, and especially millennials. New housing developments provide a living environment radically different from the sprawling suburb. Modern condominiums foster communities and horizontal connections, provide exclusive features and quick access to the dense urban centers. In the same time, the condo is a problematic property. You may have a hard time selling or renting it out due to the mighty condominium associations. The profitability of such investment cannot be defined broadly and should be assessed on the case-by-case scenario.